This meetup event brings together blockchain ecosystem partners, developers and community members, promoting a healthy exchange of the latest technological innovation. As well as creating excellent opportunities for everyone to learn more about the BOS Network’s, ecosystem, DApps, BOS developer incentive model and underlying technologies such as BOS IBC, Batch PBFT consensus mechanism and more. 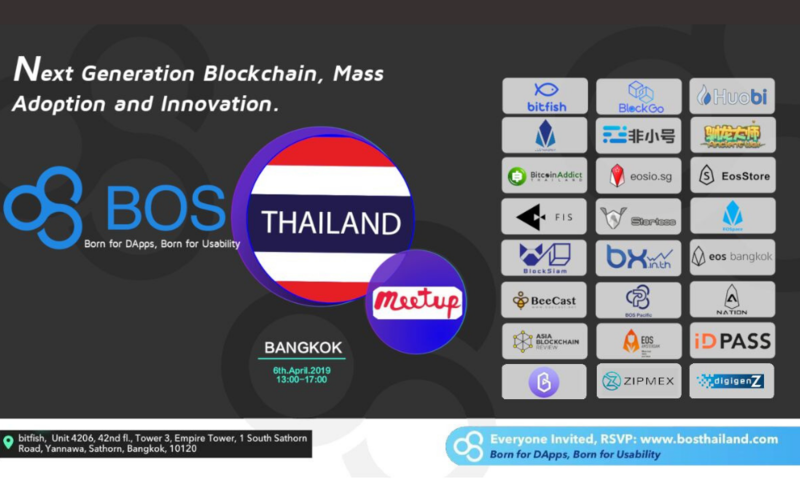 EOS Bangkok is an EOSIO community meetup in Thailand, BOS Business Operating System, is an EOSIO based sidechain. Meetup event might be listed in several places, please RSVP early. Check these links before the meetup and pickup BOS wallet & account.